DISCLOSURE: As an NCircle Ambassador, I received a free DVD for review purposes. All opinions are my own. 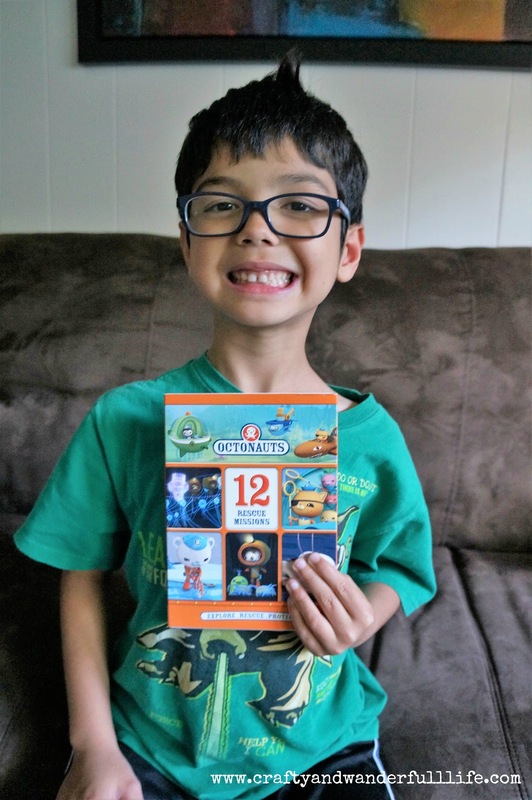 Our family have been fans of the Octonauts, since their debut on the Disney Channel in 2012. My kids love watching all the different rescue missions and learning about all the different sea creatures. Plus, they like singing along to the theme song. I first learned about the Spider Crab from an Octonauts episode! Dive into adventure with your favorite underwater explorers, the Octonauts! Join brave Captain Barnacles, daredevil ex-pirate, Kwazii and medic Peso Penguin, along with the other Octonauts as they explore the world's oceans, rescue the creatures who live there and protect their habitats - above and below the waves! On this exciting DVD, join the Octonauts as they embark on not one, not two, but TWELVE rescue missions! From attempting to dive deep into the abyssal zone to encountering a school of toothy barracudas to Barnacles seeking guidance from a mysterious sea turtle. It's time to sound the Octo-alert! When the DVD arrived, my 6-year-old could barely wait for me to take some pictures of it, before he wanted to watch it. After each episode, he couldn't wait to tell me about what happened and what he learned about. The DVD includes 12 episodes and runs 160 minutes. This would be a great DVD to bring along on long road trips! 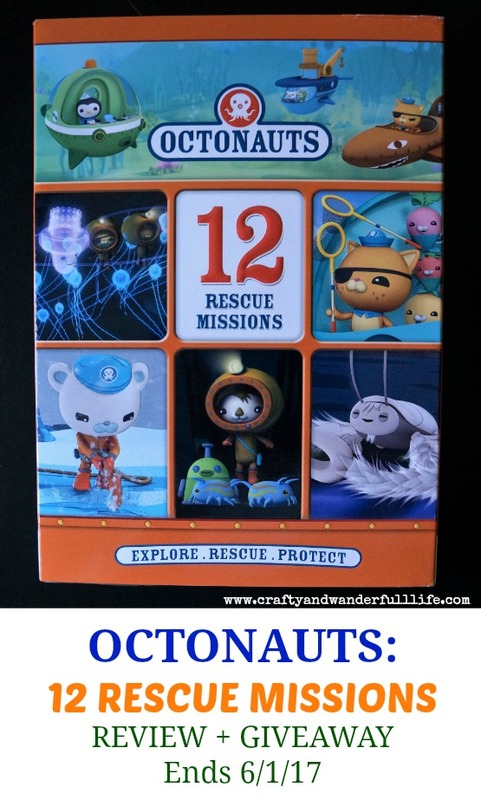 NCircle Entertainment is giving away one (1) copy of Octonauts: 12 Rescue Missions to one lucky reader. Enter using the widget below. Giveaway ends at 11:59 PM EST on June 1, 2017. Open to US and Canadian residents. Good luck! More wonderful characters and storylines from Disney! This would be wonderful for my little boy! My child doesn't have a favorite! My girls loves this show! We watch everyday!